According to a 2015 study conducted by Marijuana Business Daily, 36 percent of executive-level positions in the cannabis industry are held by women – compared to the U.S. average of 22 percent. The study also found the percentage of women in executive roles varied depending on which sector they worked in. Testing labs and processing/infusing companies lead the way in gender diversity, but even the most underrepresented sectors are still well above the U.S. average. We reached out to a several influential women that are staking their claim in the budding cannabis industry. We asked them why they think more and more women are working in cannabis, what kind of impact this increased diversity is having on the industry, and what advice they would offer to women that are interested in entering the cannabis industry. Here’s what they had to say. “I’ve interviewed thousands of leaders and entrepreneurs in my journalism career, I’m happy to report that cannabis has the most women in leadership roles than any other major industry. 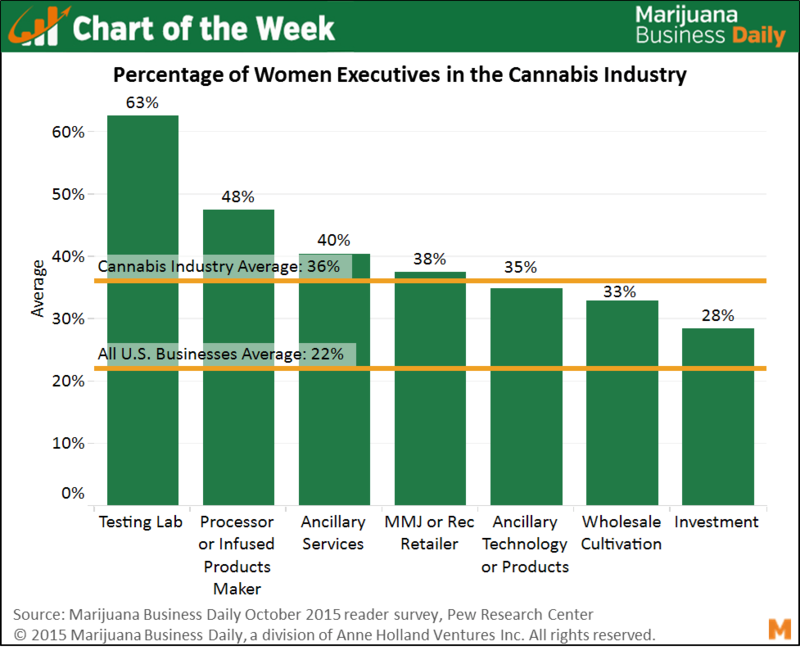 The numbers back it up – MJ Biz Daily reports that women make up about 36 percent of executives in the legal-marijuana industry, compared to about 22 percent of senior managers in other industries. What we are seeing here is the emergence of female powerhouses fully unleashed. Despite the cannabis industry’s ever-changing regulations, and the uncertain political climate, women are flourishing. I believe many women, including myself, saw the emergence of a new cannabis market as their chance to not only get in the board room – but run it. 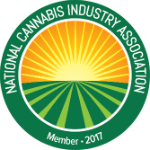 The new cannabis industry is an enigma; a multi-billion-dollar marketplace undermined by the plants federally illegal status. That means big chances could equal an even bigger payoff. It’s a chance women are willing to take in order to even out the playing field, and using their talents and intelligence to their full potential in a corporate environment. “It certainly is common to find woman-owned businesses in this space, and perhaps it’s just because we are more visible. Women tend to launch cannabis businesses with extremely strong branding, messaging and vision, earning early recognition in the media. Publications and blogs love to write trend stories about how many powerful women are in this industry, and that’s great, but I think it does take away attention from the issues female entrepreneurs still face. For example, many female CEOs are still having a harder time finding venture capital and getting spots on speaker rosters and panels than their male counterparts, and women of color are still disproportionately underrepresented in the space. It’s important that women in cannabis are never satisfied and always striving for that next level of leadership. “Since the industry is still being built it takes a lot of patience and nurturing. Women are naturally patient and nurturing so I think this makes us a perfect fit for the industry. “Well Cannabis is the future – and many women want to be a part of that. We are tired of getting shot down in the corporate world which is mainly dominated by men. So, all the power to us! Take ‘Women Grow’ for example — it is a group of women who educate women about all aspects of Cannabis. We want to learn and grow from each other. “Women have only begun to achieve a more equitable existence in society over the last century. We have achieved a more balanced playing field in the workforce only in the last two decades. Although, we are still not federally recognized for equal pay. The dot com era was still a bit before the time that a female owned and run business venture was seen as something normal. Cannabis being released from prohibition and representing one of the final true agriculture commodities with global significance, is an opportunity that comes around rarely if ever. I believe that this is the first economic opportunity that happened to be timed perfectly for women to seize. We were never less intelligent or capable, just oppressed. Of course, females see the opportunity in this. With our combined education, experiences and ability to raise capital through alternative channels, such as crowdfunding, there was never a chance we were not going to eventually dominate in the areas we focus on. Just like men. Historically, the feminine presence, in anything, represents a more balanced approach and this can never be anything less than positive. Because this industry has a strong female presence, the plant has a better chance of being respected for what its true value is versus just becoming another corporate commodity to improve the bottom line and increase the profits of its shareholders. We will find a way to make the profits and preserve the culture together. “Naturally, we see females taking on a caregiver role in their everyday lives. In the cannabis space, women are drawn here. Many have been here for years and it’s just now acceptable enough for them to come out of the “canna closet” I believe women make great entrepreneurs in all industries. I think that the impact women will have in the cannabis industry and community will set the stage for an all-inclusive industry. Women as the decision makers for the majority of purchases will also directly impact the products and services we see born in this new industry. There are many higher end products directed towards females who consume. I am excited to see the elevation continue and more companies identify these newer consumers and market with higher standards. “I think a lot of it is timing.This is an industry that’s emerging and evolving at a time when women everywhere are saying, “I want to create my own opportunities and I’m tired of answering to other people (i.e. men). Why can’t I be an entrepreneur?” There’s no entrenched hierarchy (yet) in cannabis, and we’re still making up the rules as we go. We’re playing with this dynamic creative energy and it makes sense that there would be more space for voices that are typically silenced. I think women can navigate this improvisational realm, be adaptable and flexible and responsive in a way that honors the foundation this plant has provided for us; and at the same time, pushes the industry forward. It’s our privilege to work with and for a product that lends itself beautifully to health and wellness, self-care, spirituality, and life-work balance. I think women are a large part of the reason the industry continues to embrace those ideals. “I think there are so many women in the cannabis industry because we live in a time where, more than ever, women feel empowered. The cannabis industry is about creating positive changes in the world and I believe so many women are hungry for that. I see anyone who is entrepreneurial, driven and creative as having a positive impact on the industry, and I see nothing negative if those people happen to be women. “I think that asking why women entrepreneurs are so involved in the cannabis industry is a very tough question because the answers can be so diverse. I can tell you that, at CannaSmack, we choose to create using hemp (cannabis) as our main ingredient because we strongly believe it helped us create a much better quality product. At the same time, it gave us a voice to support a cause we strongly believe in by promoting a cannabis positive image through our branding. In regards to our collective impact, I really don’t think it is fair to speculate on a positive or a negative. I think as humans we all have the potential for both, equally, regardless of gender. It is how we choose to approach our business as individuals that will decide the outcome. “I believe that there are more female entrepreneurs in cannabis because we see the opportunity to advance in an industry which has yet to be defined by gender misconceptions and misogynistic corporate agendas. Women are natural caretakers and I am personally drawn to the cannabis industry because of the incredible opportunity to create and define key leadership roles within influential cannabis companies.